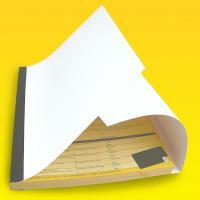 Great value, bespoke NCR pads or books. 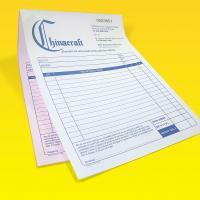 These bespoke NCR business forms can be used for a multitude of applications, invoices, delivery notes, restaurant receipts, purchase orders, the list is endless! 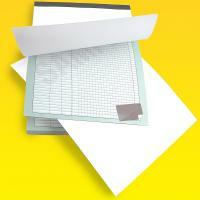 2 part NCR pads are glued together as 50 sets of 2 sheets (yep, 100 sheets in total, you’ve got it!). 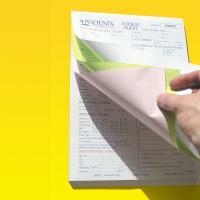 They are available in a variety of sizes and a choice of five paper colours, white, pink, blue, green or yellow. 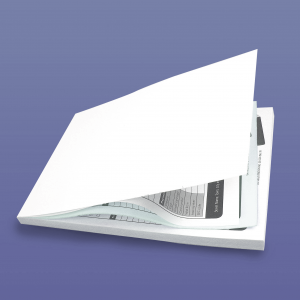 Printed in one or two spot colours on the front and available with either a blank reverse or printed in one colour on the reverse – the perfect place to put your terms and conditions! 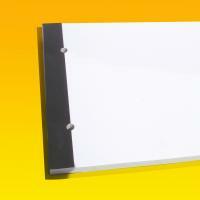 The cardboard backing sheet means they are easy to transport and use in or out of the office. 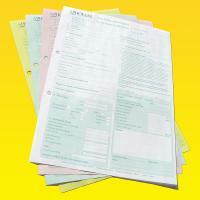 Other specifications are available should you have something specific, just drop us a line. 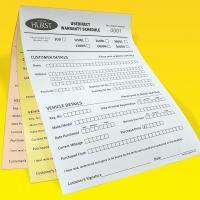 Sequential numbering can be included and if you want to have them drilled for easy filing, ask us for a price!